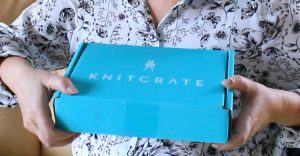 Each month when my new Knitcrate yarn box arrives, I’m all excited! By now I know that I’m going to get great quality yarn that I will love and feel inspired by! I do have plenty of wool and yarn of many different kinds! See my video about tips for using your yarn stash as home decoration. But I love to receive yarn that I didn’t select myself, it feels like a present!. You can select from four different types of crates of yarn, so it is not completely at random. Many of the yarns are hand dyed by independent designers. When you subscribe to one of the monthly subscription boxes, use the code TUULA20 and you get 20% off your first order! I know I have readers and YouTube followers all over the world, so it is important that everything is shipped worldwide without extra cost. There is always both a knitting and crochet pattern that you can make using the yarn. You download the patterns either to your computer or to your Ravelry library. 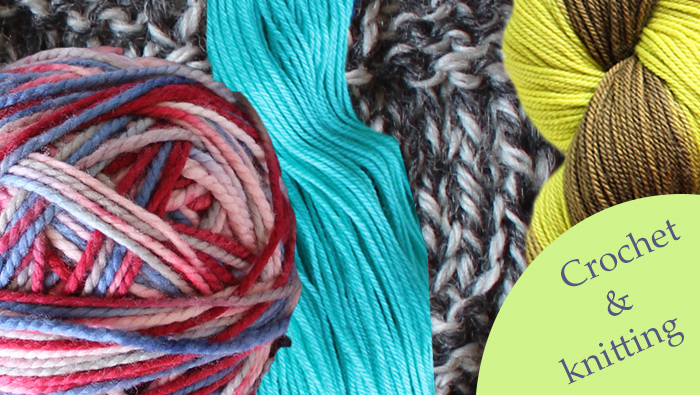 You can also join a knit-along or crochet-along in Ravelry to make the items together with others. If you don’t know Ravelry, the huge free knitting, crochet and other yarn craft community, check it out! 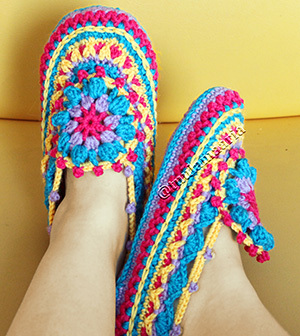 You can also be like me and make your own patterns that go with the yarns. 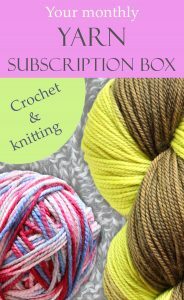 Click to order the monthly yarn subscription box! How lovely! This could be a nice way to try new things.